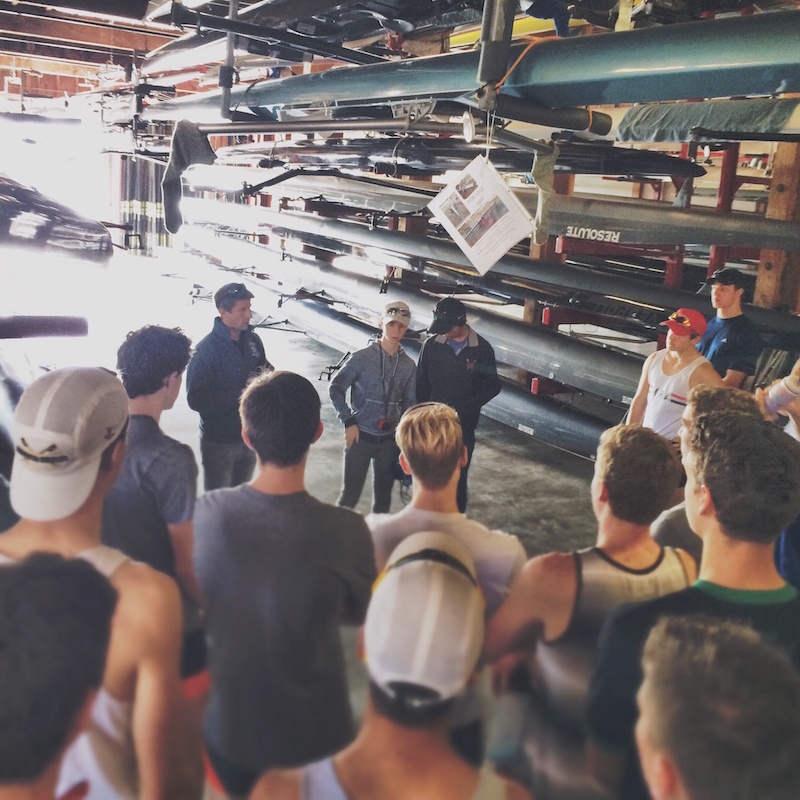 USRowing junior national team coach Nick D'Antoni is no stranger to success. Here, he shares some insight into how to build technique and style for the long haul. D'Antoni began his coaching career at Newport Aquatic Center in Southern California, but after winning back-to-back national championships in the junior men's varsity eight, D'Antoni decided to make the shift to Long Beach Junior Crew. Fast times followed. Last year, D'Antoni served as an assistant with the men's team with Princeton University, and most recently, he coached the U.S. junior men's straight four at worlds, before returning to NAC to take over the junior men's program once again. Already, the results show the influence of his careful approach to coaching. "Often at the beginning of the season, you run through drills meant to reinforce particular fundamentals," explains D'Antoni, "and hopefully impart a sense of the style that you want to row. But then, at certain point, drills become more of a way to diagnose what is going on the crew—you can then approach the problem with the right exercise. So for me, if you ask me what are my five favorite drills, I would say that depends on what the five most important flaws are in the rowing for a particular crew." Logical, and a sentiment echoed by former U.S. Olympic coach Mike Teti in an earlier Best Rowing Drills piece. "I try to put together a battery of drills to help resolve the issues in front of me, following along with a methodology that reflects the periodization of teaching over the course of the year," D'Antoni says. "I'll spend the early part of the fall on what the rower is doing, with their weight or their body, so it's a lot of sequencing drills," he says. "Then, making the transition to the winter, we'll do a little more of what I call 'application'—essentially drive mechanics, trying to refine the way that we move the boat. The winter-to-spring transition goes from mechanics to a lot of bladework drills. That's the very, very simple version, at least." He continues: "In general, you see people who have a good sense of organization on the recovery (and they're well sequenced), or not. So, depending on what you see there you could do a series of different pauses to reinforce proper sequencing out of the bow, and allow the athlete to understand the importance of the order—the manner in which they get organized during the recovery. And there's room for style in that—lots of people preach doing two things at once [i.e. moving hands and bodies as one out of the bow], but the basics of getting prepared during your recovery to be able to quickly place the blade and apply force—but however you choose to do it, you use pause drills to put people into the position that you want them to be in at checkpoints along the way to the catch. "Then, there are the people who understand intuitively the physics of moving the boat—they have a good sense of pushing and suspending, swinging and drawing—and those who don't," says D'Antoni. "There are a lot of moving parts to the stroke, but the important thing to understand is that the boat is what is moving through the water. 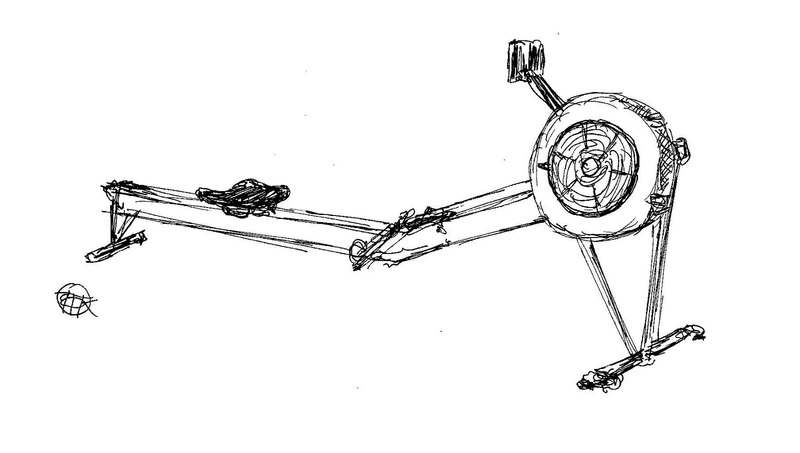 There's a tendency for some people to just think of the oar like an erg handle." How to get around that? Break it down. "Use a series of fractional strokes, from one end or the other, to reinforce the mechanics that you want applied during the drive. And again, there's stye in that—people say 'break your arms right away,' or 'never break your arms;' or 'swing right away,' or 'wait until the legs are nearly down to swing.' Obviously, that's an exaggeration, but you get the point. 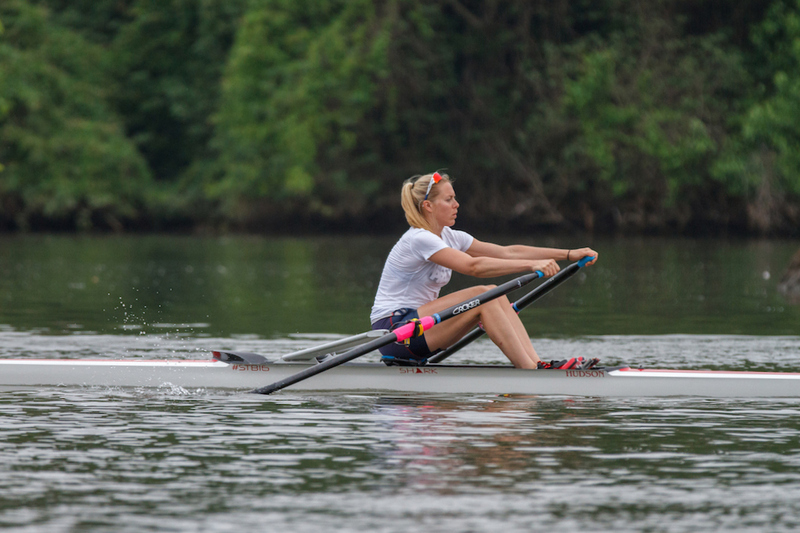 Again, those are up for interpretation, but using fractional strokes is a way to ingrain the mechanics that you want your athletes to use to move the boat." And getting started on the right foot is paramount, in D'Antoni's eyes. "I think that the flaws in anyone's rowing will haunt them for their entire career," he says with a laugh. "The truth of the matter is that when you start rowing, if you're prone to shooting your slide, then you're always going to have to be conscious of that problem. If rhythm doesn't come easily to you, then you're always going to be trying to find rhythm. So with juniors, I definitely start very methodically, and move slowly, because mastery before you move on is what helps minimize the development of bad habits." You might never achieve perfection—the goal is to constantly strive for it—but introducing things in the right way and understanding that it's a long process can help you to make progress the right way. "You're never going to 100% master a skill, but you can get to a point of competency that's high enough that you feel you can tackle the next steps and the more complicated elements of that progression. So, for example, in the fall, I would have my guys row with a pause at half-slide on the feather, square the blade, then slide up and take a stroke. For most people, that's way too early, and, realistically, you're not going to square the blade at half-slide at 36 s/m. But for the purposes of learning early, and then refining the concept later, it's a good place to start. Learn to do that early; learn to do that without changing the handle height; learn to be prepared in that position with body and blade. Then, when you come back to it later, you can refine the concept—they now understand how and why to be prepared, so you can refine that to the point where they can grasp squaring to the water. It goes from being a clunky movement to a more blended movement." In other words, smooth it out. "The better you get at each fundamental element, the better you'll be at making the transition through each phase of the cycle, and the more blurred the lines between the phases become." Thanks very much to Nick D'Antoni for sharing his experience with us! This is the seventh post in our 'Best Rowing Drills' series, following up on Kevin Sauer's favorite five, Mike Teti's approach to technique, Linda Muri's multi-faceted exercises, the athlete's perspective with Megan Kalmoe, body awareness drills for rowing with Carlos Dinares, and three top skill drills from Michigan head coach Gregg Hartsuff. You can find a series index on our Coaching page.